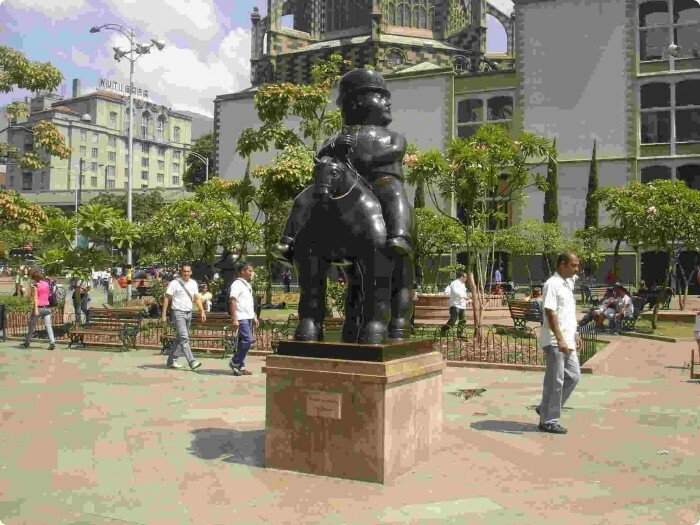 Medellin is renowned for offering travelers a wild and exciting night life. 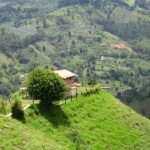 And there are plenty of great day trips, museums, outdoor parks, and plenty of things to do when visiting Medellin. 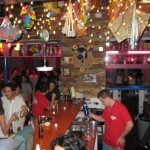 We invite you to check out Medellin Living to find detailed information on night life and ideas for things to do. 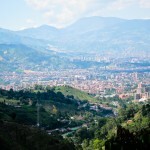 Medellin Living has really done an incredible job covering pretty much every aspect of Medellin life. Check them out. Here, we have composed some great activities to do locally here in Envigado to keep you busy and having fun while staying with us. 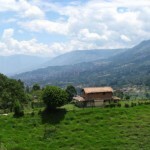 Envigado is nestled in the lush mountain sides of southern Medellin. We have two great day hikes that are close to both Art House and Park Place. There is also an ecological park called Parque Salado, where you can spend a lazy afternoon hiking or lounging throughout the park viewing sub tropical fauna and birds. 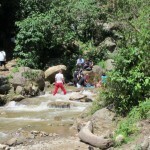 The park is well know for having the ingredients to make a traditional soup called Sancocho. It’s very typical for Colombian families to go up to Parque Salado on a Sunday and make the soup and spend the entire day with friends & family. The park has zip lines that you can take to get a birds eye view of the area. You can also lounge around anywhere along the river as you’re heading up to the park. Bring up a pick-nick and take a dip in the river. 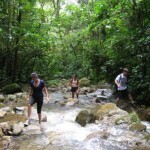 Check out this short video to see more of Parque Salado. From both Art House and Park Place, you can walk up the canal and explore the river or Parque Salado. It takes about 45 minutes to walk up the canal. 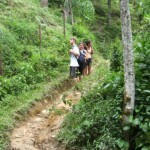 But it’s a great hike and a great way to see the changes from urban to rural life. If your time is limited. Take a taxi from either of the homes to get there. For the bus, just walk down to the canal (5 blocks north of the Art House) and turn right at the canal. Find the green metro buses that are going up the canal with the sign Salado on the front of the bus. Take this bus. Don’t be surprised to encounter locals riding horses through the winding streets. There are also a few bars, juice stands, and restaurants in the area. 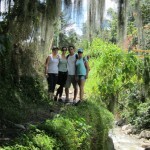 Parque Salado is close to our first hike. The trail head is on the way to Parque Salado. Once you get on the green Metro bus marked Salado, you will want to get off at the roundabout about 3/4 the way up the canal in order to reach the trail head for this hike. It’s about a mile from the park, so watch for the Roundabout! 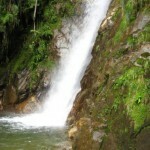 The hike is about 3 – 4 hours and runs a loop around Parque Salado. 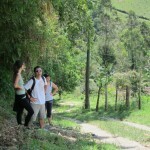 There are spectacular views of the city and the hike finishes at the entrance of Parque Salado. From there you can catch a big green metro bus back down the canal and get dropped off by Transversal 34 Sur. At Transversal 34 Sur you can walk back to either the Art House or Park Place. 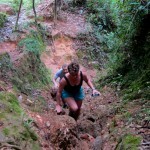 The second hike is called Sedero Aqua. 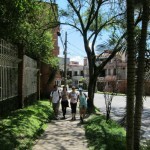 It is a short Metro bus ride up some incredible winding neighborhoods and mountains of Envigado. You can catch the bus on the corner of Carrera … and Calle ….. Look for a local bus that has a sign called Arenales on the front of it. Grab this bus and enjoy the ride! The trail head is just up the hill from the last bus stop Arenales. The trail winds through a river, so prepare to get wet feet/shoes. It peaks at a waterfall where you can take a dip in the cold pool. It feels great on a warm day. 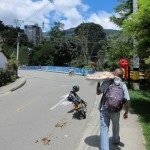 Then back down to the trail head where you can catch another metro bus down to Parque Envigado. Just let your bus driver know that you need to stop at Parque Envigado. From there it’s a short walk back to Art House or Park Place. Envigado has tons of cool little bars that you can visit throughout the week. But on Wednesday or Thursday night, you should go check out LA CABAÑA DEL RECUERDO. CALLE 38 Sur – 35- 04 Envigado , Barrio Mesa. Go around 9ish to get a table. The place fills up with music enthusiasts who love to listen to live music and enjoy a beer or two. It’s definitely another authentic Colombian experience you don’t want to miss. Next on the list, we need to mention the strip of bars one block south of Park Envigado, on Carrera 49. 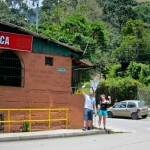 There is several great Colombian bars in this area that should be visited on a Friday or Saturday night. Saturday is the most lively night. See if you can get some new friends together from the house and go check it out, practice your Salsa and Merengue, have a shot of Aguardiente, Viva Colombia! Spend a evening in Parque Envigado. Find yourself a local treat in the park and kick back and watch Colombian life unfold. There’s some nice restaurants, local pubs, and pool halls around this area. The last thing that is worth mentioning about Envigado night life is that scattered throughout the local neighborhoods, there are awesome little bars with patio seating that are great to chill out at and have a cold beer with new friends and practice your Spanish. The neighborhoods here are classically great. Hope you enjoy them. If you’re looking to take a month off and coming down to relax and get away from the daily grind. 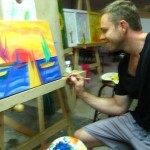 We suggest you take some therapeutic art classes at the local art school called Gozarte. They also offer Spanish classes, guitar lessons, dance classes, and of course a variety of art classes. Marleny is the owner and an instructor at the school. She’s an incredible woman who is a patient and kind teacher. Connect with her on Gozarte facebook to set up your classes. 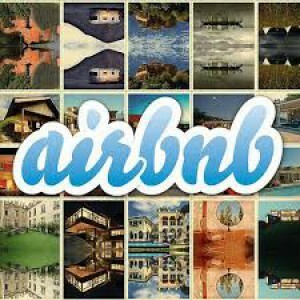 Thanks for stopping by the Arthousemedellin.com, safe travels and leave a comment if you have local Envigado suggestions for Things to Do.